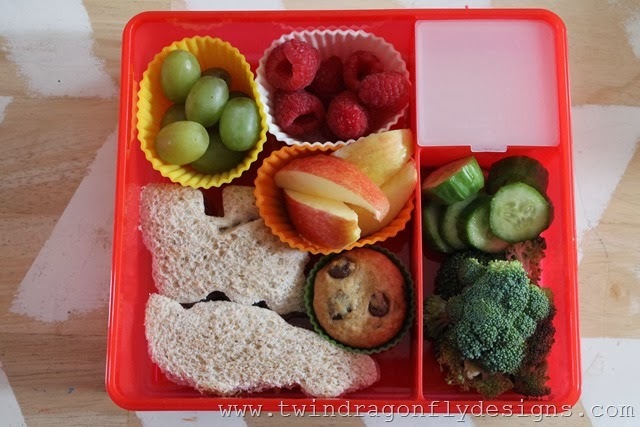 This is another fun and simple planes, trains and automobiles bento! The container was found at Target but is not one I use often because even I find the lid hard to get on and off and the boys usually bring it home lidless. 😉 I like the little compartment for dip though. Today we have a peanut butter and jam sandwich cut with a planes, train and car cookie cutter, apples, grapes, raspberries, cucumber, broccoli, ranch dip and a banana chocolate chip mini muffin. 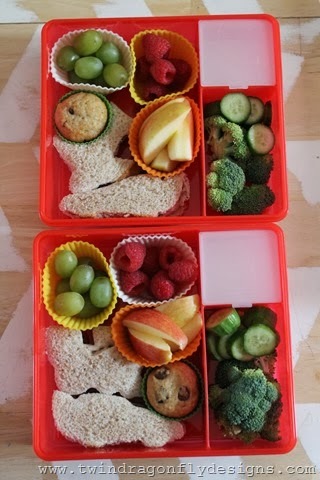 Do you have a favourite lunch container?